Easy to find and amazing to play in, Conway is an ideal place to host a sporting event. 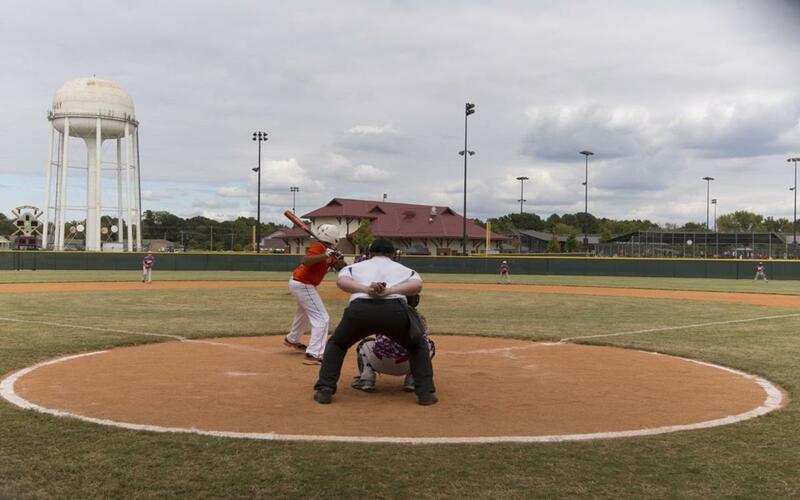 Conway can accommodate an abundance of sporting events including baseball tournaments. As a sports planner, you know finding the right destination is crucial. The “right” destination is more than just finding a venue; there has to be the right climate, the right post-sports attractions, and the right kind of lodging. If you’re planning your travels around warm-weather sports like baseball, softball, tennis, soccer or volleyball, consider the central Arkansas city of Conway. A spate of collegiate and community-owned sports facilities is at your service, pre- and post-game activities are plentiful and family-friendly, and — thanks to its location on the Interstate, north of Little Rock — travel is easy. This new, nine-field baseball complex has received great reviews for its well-kept surfaces, comfortable seating, and convenient parking. The park has eight 225-foot fenced fields and one with a 350′ fence, so a variety of ages and skill levels can participate. Onsite amenities include a concession stand, heated and air-conditioned bathroom facilities, and a maintenance shed. A large pond inside the complex is kept stocked with fish, but visitors will have to bring their own tackle and rod to do any angling. “Sports Complex” is the right term for the Don Owens venue; it combines numerous T-Ball and Softball facilities with the barns, corrals, and rodeo stages of the Faulkner County Rodeo Arena. Locally, it also hosts basketball and volleyball games. But for sports planners, it’s the ballfields that get the most attention. 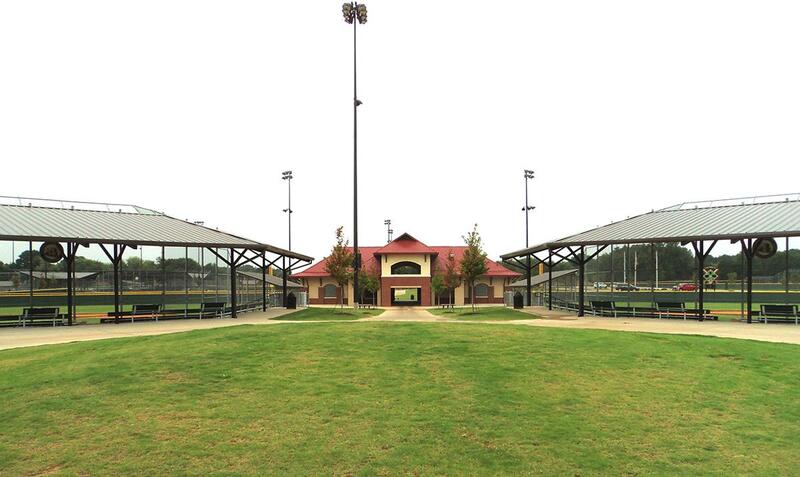 This 125-acre complex includes six T-ball fields, three adult softball fields with lights, two concession areas, restrooms, and ample onsite parking. Other amenities include a playground, picnic tables, bleacher seating, a pavilion, and a dog park. Located on 11 acres of land and including the city’s Skate Park and Community Garden, the McGee Center is at the heart of Conway life. 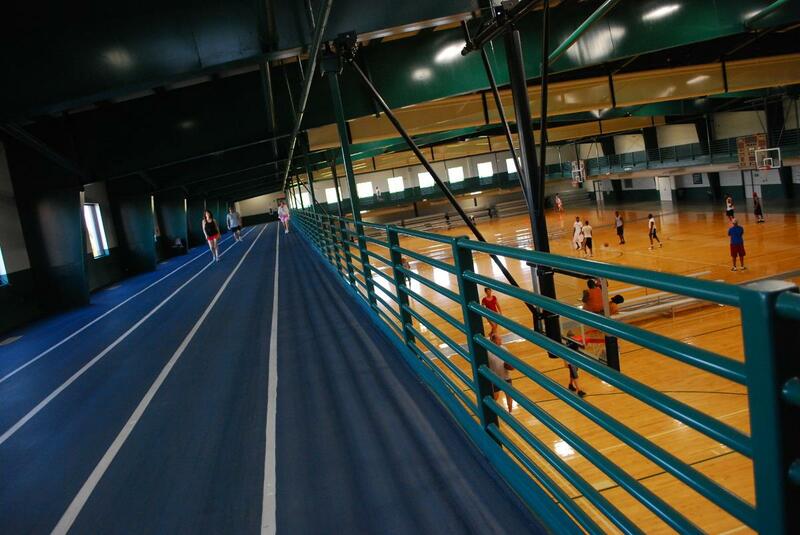 In addition to three basketball courts and four racquetball courts, the 46,600 square foot facility includes a three-lane walking track, a large meeting room (seats up to 150) and a small meeting room (seats up to 25). The Skate Park features ramps, grinds, and halfpipes that skateboarders and rollerbladers can use to show off their moves. Bike riders are also welcome to use the Skate Park on Sundays, when no blading or boarding is allowed. 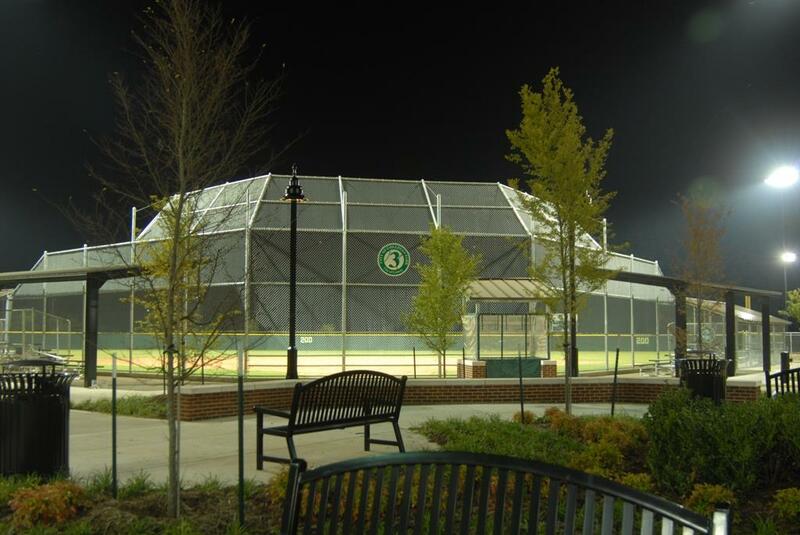 Home of the softball teams of Central Baptist College and St. Joseph High School, this five-field softball park was built in 2009 and has become one of the area’s top venues. Its features include lighted and manicured playing fields, covered seating, an onsite playground, and plenty of open space for the little ones to run around. Bathrooms and concession stands are available as well. Centennial Soccer Park has a lot of draws. 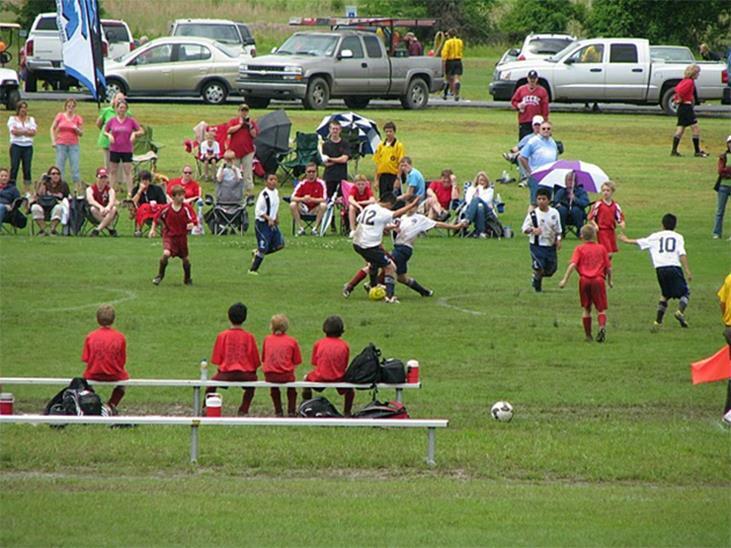 It’s the home of Conway Rush Soccer, and lots of local leagues and clubs — including the Arkansas United Soccer Club, St Joseph High School, and Central Baptist College teams — play here. That’s no surprise; the 51-acre complex includes 10 full-size fields and 2 U10 fields, a coach and referee room, and plenty of parking. Other amenities include air-conditioned bathrooms and a meeting room that can be rented for after-game parties. 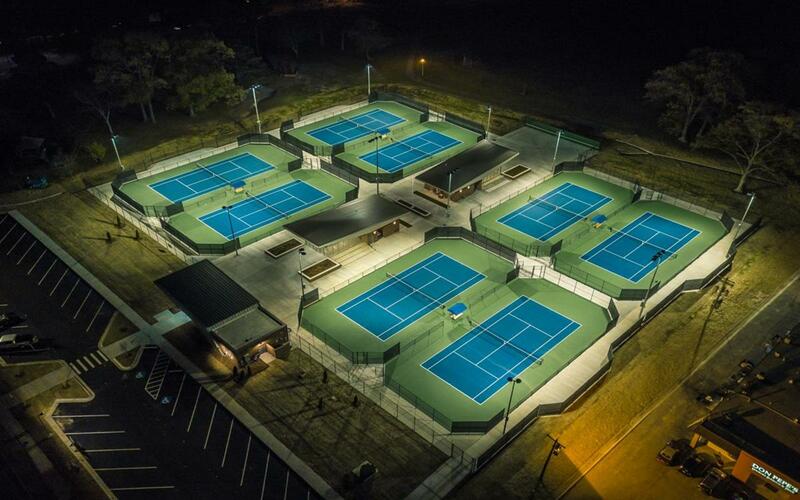 Just opened this year, the Conway Tennis Center is a 2.5-million-dollar addition to Conway’s sporting venues. It features eight post-tensioned outdoor courts, a separate practice area, tiered outdoor seating, covered bleachers, and climate-controlled indoor viewing areas. The restrooms include shower facilities. The game or tournament is only one part of a successful sports vacation. Once the dust has settled and the equipment has been put away, it’s time to relax and have some fun off the field. Conway is naturally suited to providing laid-back recreation. If the spirit of competition is still thriving after the tournament, how about heading over to Lake Conway? As one of the largest man-made Game and Fish Commission lakes in the US, it’s full of bass, catfish, bream, and bowfin. For an energetic group, a bike ride through the town is a fantastic way to see what Conway has to offer. And no need to bring your own machines, bikes are available for rent. But what if your group’s idea of catching fish involves a plate and fork rather than a line and pole? Conway has plenty of non-sport leisure activities in the town itself. Downtown shopping and dining is a great change of pace, and there are several local festivals each year with live music, interesting exhibits and activities, and local vendors. You can also take in the theatre, music, and dance events offered by Conway’s three local colleges or its renowned community playhouse, The Lantern Theatre. The Conway Convention and Visitors Bureau has been such a help in the growth of The Hiland Dairy Youth Softball Classic. These funds are critical in expanding our outreach to attract teams from all over Arkansas and surrounding states. We have grown to 68 teams in two years and the future is bright in our goal to reach well over 100 youth teams. We very much appreciate the support from the Conway CVB. Conway has the best complexes and the best parks and recreation department, and also the best convention and visitors bureau I have ever seen. By Air: Little Rock’s Bill and Hillary Clinton National Airport is just 35 miles south of Conway, an easy 40-minute drive up Interstate 40. Many major and regional airlines fly into Clinton National Airport, including Allegiant, American Airlines, Delta, Southwest, United, and Frontier. You can reach this airport from just about anywhere in the country, and nonstop flights from most Southern, Southwestern, and Midwestern cities are offered. By Car: Centrally located in Arkansas, Conway is just a few hours away for anyone in-state. For out-of-state guests, it’s only 135 miles from Memphis, 185 miles from Springfield MS, and under 300 miles from Tulsa, St. Louis, and Dallas, Shreveport LA, and Jackson MO.